Shermin Langhoff began her professional life in publishing and television. After many years in film, collaborating on projects including Gegen die Wand (Head-On) with Fatih Akin, she worked as a curator at Berlin’s Hebbel am Ufer (HAU) theatres from 2004 to 2008. There she founded the “Akademie der Autodidakten” (Academy of Autodidacts), which provided many talented artists with a platform for their work. Her “Beyond Belonging” project series began in 2006, for which she invited artists from other disciplines such as visual arts, literature and film – including Nurkan Erpulat, Nevin Aladağ, Hakan Savaş Mican, Ayşe Polat and Neço Çelik – to tell new stories for the theatre. In 2008 Langhoff founded the Ballhaus Naunynstraße in Berlin’s Kreuzberg district and made significant contributions to establishing the concept of post-migrant theatre. Since then this concept has become a constant in the societal debates about the country of immigration that Germany has become, and has been widely discussed in academia as well. Several Ballhaus productions, especially Verrücktes Blut (Crazy Blood) by Nurkan Erpulat and Jens Hillje, garnered attention on an international level. Erpulat’s production was invited to Berlin’s Theatertreffen and numerous other international festivals. Langhoff has been the artistic director of the Maxim Gorki Theatre Berlin since the 2013/14 season. 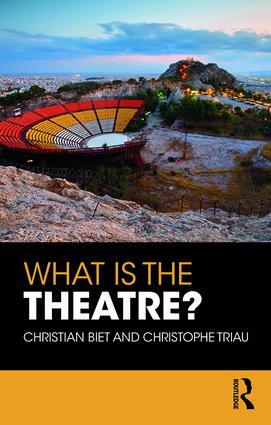 In 2014 and 2016, the Gorki was voted “Theatre of the Year” by the German-speaking critics in Theater heute magazine’s survey (together with the Volksbühne am Rosa-Luxemburg-Platz in 2016). Many Gorki productions have received both national and international honours. They’ve also been recognized with invitations to the Theatertreffen festival: in 2015 for the play Common Ground by Yael Ronen and ensemble, followed by The Situation, another work by Yael Ronen and the ensemble, in 2016. Under Langhoff’s direction, the Maxim Gorki Theatre understands itself as a place in which constructions of nation, identity, and belonging are questioned by dealing with history and presenting trans-local references. For the beginning of her tenure in 2013, Langhoff organised the first Berlin Herbstsalon (Berlin Autumn Salon), an interdisciplinary exhibition-parcour, in which around 30 artists shed light on the historic area around the Maxim Gorki Theatre from a variety of perspectives over a period of two weeks. Two years later in 2015, the second salon devoted itself to flight and seeking refuge, and how visible and invisible borders separate people from one another: in this context, a special kind of encounter between political art and activism was enabled. For the third salon in 2017, the exhibition expanded to encompass the entire city. From the Brandenburg Gate, through the Maxim Gorki Theatre to the historic Kronprinzenpalais (Crown Prince’s Palace), the exhibition gathered works by about 100 artists from around the world. Under the slogan “De-integrate Yourselves!”, they presented a manifold rebellion against attributions, generalisations and simplifications and invited a broad public to engage with these social issues. More than 20,000 visitors came to the exhibition rooms alone, admission to which was free of charge. Shermin Langhoff has received several awards for her work at the Maxim Gorki Theatre. In 2015 the B.Z. newspaper awarded her with their culture prize. In 2016 she received the East End Theatre Prize and, in the same year, the prestigious Theatre Prize Berlin from the Preussische Seehandlung foundation, together with Jens Hillje, co-artistic director. Under their leadership, the Gorki has deliberately become a radical venue “reflecting the diversity of the city’s population in its performance and discussion programme, as well as in its ensemble: German actors from around the world who perform their way out of pigeon-holes, attributions and (gender) certainties”, the jury explained. “For them identity is not a fixed category, rather an opportunity to reconsider and re-examine oneself time and again, in social, artistic and political spaces”. In addition, the Alfred Toepfer Foundation awarded Shermin Langhoff its KAIROS European culture prize in 2011 for her work as a cultural mentor. The Helga and Edzard Reuter Foundation has honoured her for notable achievements in the field of international understanding and integration. In 2012 she received the Moses Mendelssohn Prize from the Berlin government. She was presented with the Theodor Heuss Medal in 2014. In 2017 she was awarded the Bundesverdienstkreuz (Federal Cross of Merit) by German President Joachim Gauck for her achievements in culture. 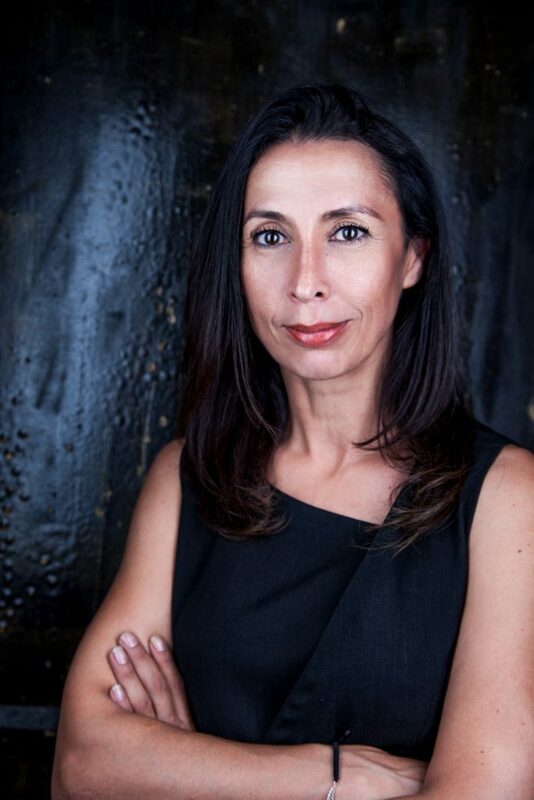 Shermin Langhoff is a member of the jury at the Tarabya Academy for Culture in Istanbul and for both the Alfred Topfer Stiftung’s KAIROS award and the city of Augsburg’s Bertolt Brecht award. From 2012 to 2017, she was on the board of trustees of the Eberhard-Schultz-Stiftung für soziale Menschenrechte und Partizipation (Eberhard-Schultz-Foundation for Social Human Rights and Participation) and served as an expert and a founding member of the Germany-wide Rat für kulturelle Bildung (Council for Cultural Education). L’Observatoire Critique réunit de jeunes chercheur.euse.s et étudiant.e.s de différentes universités pour suivre des événements scientifiques (colloques, workshops, journées d’études) sur le théâtre et la performance, les commenter et produire ainsi une réflexion critique en simultané qui essaie de rendre compte de leur complexité et pluralité. Conçu comme un lieu d’échange et de partage à organisation horizontale, l’Observatoire expérimente différents langages et outils numériques de communication et d’archivage. L’expérience vise à soulever des questions méthodologiques fondamentales sur le rapport entre travail scientifique, valorisation et communication, ainsi que sur l’articulation entre points de vue individuel et collectif, entre pratiques d’observation et environnement numérique. Un projet coordonné par Erica Magris (MCF; P8). The Observatoire Critique brings together young researchers from across the French university system with the goal of employing both live-commentary and critical reflection to encapsulate both the complexity and plurality of scientific events (symposiums, workshops, conferences) in the theatre research domain. Initially conceived as a laboratory for mutual exchange, the Observatoire experiments with different languages, digital tools of communication and archival resources to achieve its aims. The experience aims to highlight methodological questions fundamental to the relationship between scientific work and the way it is communicated. The work therefore situates itself at the intersection of the individual and collective, and between practices of observation and the digital environment. A project coordinated by Erica Magris (MCF, P8). Comments Off on Florio alias Shakespeare? Pascal Quéré propose Au cœur des paroles, une série de vidéo centrée autour de la question : Florio alias Shakespeare?